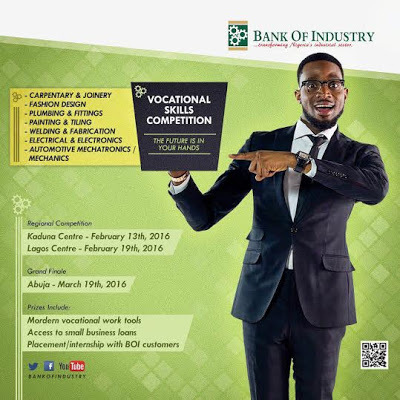 The Bank of Industry, in partnership with the National Board for Technical Education (NBTE) is organizing a Vocational Skills Competition to support and promote Vocational Skills acquisition among Nigerian youth. 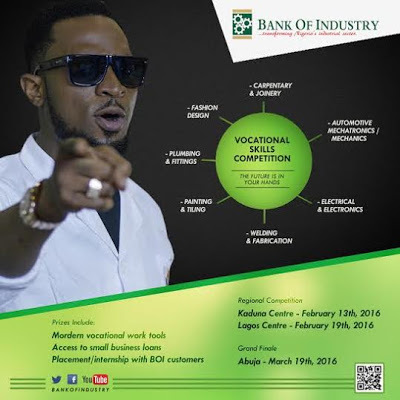 The target participants are top graduating students of NBTE-accredited Vocational Enterprise Institutions. Regional competitions will take place in Kaduna and Lagos on February 13th 2016 and February 19th 2016 respectively, while the grand finale will be held in Abuja on 19th March 2016. A panel of judges made up of seasoned professionals has been selected to evaluate the nominated candidates and select the winners in each vocational field. As Nigeria seeks to become a more diversified economy, vocational skills development must receive greater attention across various fields. 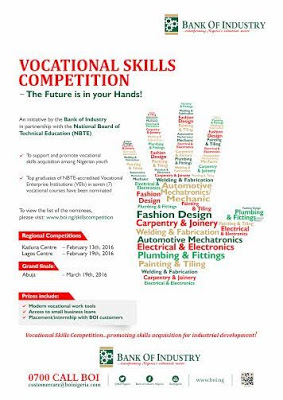 This competition is one of the initiatives of the Bank of Industry towards supporting and promoting the nation’s industrial sector through the development of Vocational Skills.